Ladies and gentlemen, feast your eyes to the circus that is my life! Here you will read about the adventures of raising 3 young boys and other joys! Wanna Get to Know the Ringmaster? 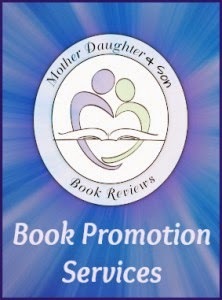 Mother Daughter Book Reviews is pleased to be coordinating a Book Blast for the first book in The Maisy Files mystery chapter book series by Elizabeth Woodrum, "Maisy and the Missing Mice". Book 2 in the series, "Maisy and the Money Marauder" is coming August, 2014. If you haven't checked out Book 1, you can grab a copy for only 99 cents from Amazon! Title: Maisy and the Missing Mice (The Maisy Files) | Author: Elizabeth Woodrum | Publication Date: September 24, 2013 | Publisher: Independent | Pages: 75 | Recommended Ages: 6 to 10 Summary: Maisy Sawyer is not your average fourth grade student. She is a detective with a special skill for solving mysteries. She loves black and white mystery movies, cherry lollipops, and her dog, Reesie. When a thief known as The Black Boot steals the school's mascots and her lollipops, Maisy sets out to solve the case. Can she help return the mice to their home in the science lab? Will she ever see her beloved lollipops again? Find out in the first book in The Maisy Files series. Elizabeth Woodrum[/caption] Elizabeth Woodrum is an elementary teacher in Ohio. She came to love writing when she was in elementary school, but more recently began writing material for use in her classroom. From that writing, grew the desire to write books for the general population of children and adults alike. The Maisy Files, a children's series, is the first series that she has published. As a reader, Elizabeth prefers the fantasy genre, but she enjoys realistic fiction as well. Some of her favorite authors include JK Rowling, Stephenie Meyer, Rick Riordan, Veronica Roth, Suzanne Collins, and Nicholas Sparks. Originally from Indiana, Elizabeth currently resides near Dayton, Ohio with her two pets: a cat named Butterscotch and a dog named Reese Cup. That looks like an adorable book. Christine Mondy. Awesome Inc. theme. Powered by Blogger.